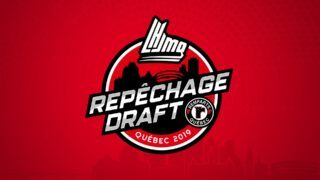 Before Saturday’s highly anticipated game between the 4 Chevaliers Easton and the Olympiques’ Alumni, Baseball Outaouais and the Gatineau Olympiques will offer sports fans from all ages a few activities leading up to the night’s main event. It will all start at 3 P.M. at Sanscartier Park with certified instructors from Baseball Outaouais who will offer free clinics to kids on the diamond, in a fun environment. Also at 3 P.M., Altitude Gym will setup their mobile climbing tower to initiate spectators to this sport’s wonders. 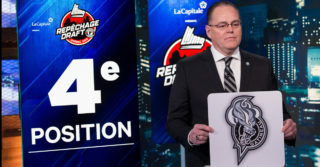 Then at 5:30 P.M., a few players from the current edition of the Olympiques will take part in a friendly home run derby, with the team’s voice at Robert-Guertin Centre, Serge Cote, as the event’s Emcee. The players will participate in a meet and greet with their fans at the end of the competition. Following this, at 7 P.M., the 4 Chevaliers Easton will square off against the Olympiques’ Alumni. Since there are limited seating places in the stands at Sanscartier Park, we would like to invite fans planning on coming to the event to bring their portable chairs, which they will be able to setup alongside the baseball field. Tickets are still on sale for $10 at the Robert-Guertin’s box-office and they will also be available on Saturday at Sanscartier Park. 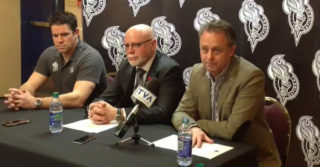 All of the day’s proceeds will be split between Baseball Outaouais and the Olympiques’ Players Fund.